Living in the Scottish capital, it would be easy for me to never venture out of my city but there is so much more to Scotland than Edinburgh and Glasgow, as we show with our regular Dundee updates. The commuter town of Livingston has long been known for its major retail park and designer outlet. It's ideally located for people who cannot or do not want to head into Glasgow or Edinburgh for some retail therapy. Back when I lived in the countryside (eww), I found it easier to travel to Livingston to shop all in one big mall than to traipse around in town. I haven't been in years though, so when The Centre invited me along to check out their Ladies Night earlier this month I thought I'd see what all the fuss about. Me. The fuss was about me. And every other customer. Because don't we all love a fuss? These kinds of evenings are the best way to shop- it's like a blogging event but open to anyone. As soon as we arrived at The Centre for the late night shopping experience, customers were treated to loads of discounts in most stores, free samples, goodies with purchases and some entertainment too. I took advantage of 10% off at The Perfume Shop to stock up on my new favourite scent and my bag was filled with samples to try out. 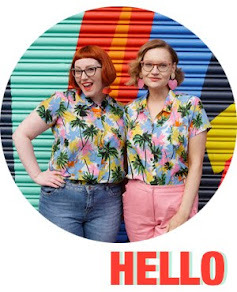 The girls in River Island kept my (15% off!) mules aside so I could return to pay after a good look around and there were Lush bath bomb demos and a fun Heart FM photo booth. There was a great energy throughout the evening, and store staff were so welcoming and accommodating, no matter how much was being spent. 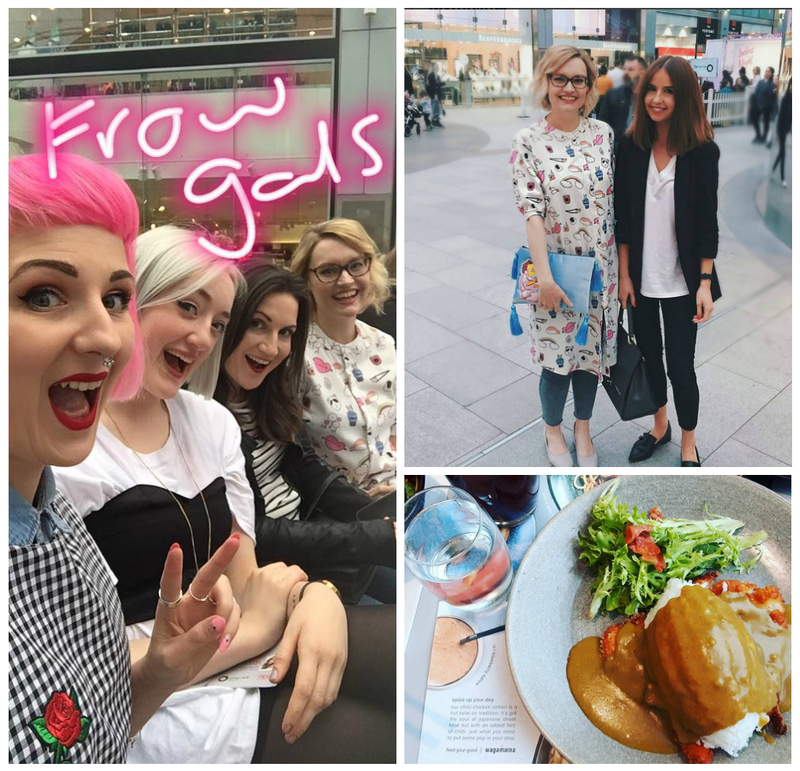 We bloggers were treated to a meal and smoothies at Wagamama before fellow Scottish blogger Sheri from Forever Yours Betty gave the centre a workshop on the latest trends. We've known Sheri for some time, and it was great to cheer her on from the front row. She'd been styling the lucky shopping spree winners beforehand and, oh my god, that girl can spot a bargain at 50 paces! She sniffed out every decent sale find in Topshop. There was a bit of a beauty spin on the evening, with a pout workshop from a really enigmatic Urban Decay makeup artist (she was FAB!) and Debenhams had a number of other demos and deals on in store. 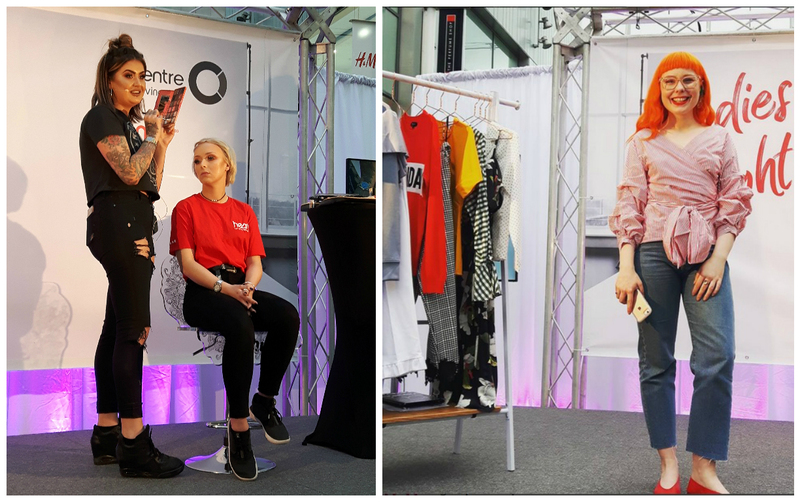 The main masterclass was with YouTube make up artist Jamie Genevieve, as she did a full face demo. It's no secret that I'm pretty clueless about all things makeup but I can see why she's so popular- she's a really engaging, funny public speaker and there was a huge crowd of contoured girls lining up to meet her. Her makeup looks like stage makeup to me (see, I know nothing!) but she explained the techniques and I took away a few good wee tips. The evening concluded with a bit of a mad dash as we bloggers tried to squeeze in some actual shopping between all the excitement. It was easy to get caught up. I had looked at The Centre's website in advance to see where the sales were and I had a clear plan of what I wanted to pick up- my perfume and a New Look jumper I've had my eye on for a while. The perfume was a cinch but when the top wasn't in stock I did find myself being tempted by, well, everything. I finally settled on a very Radley-esque Topshop backpack from my wishlist and the River Island mules (on the blog soon). Sale shopping makes for great bargains if you use it wisely for something you'd want anyway. If you buy a lot of cheap crap (and I've been guilty of this) you're just wasting money on clutter. Luckily, I'm a dab hand at shopping by now! Thanks so much to The Centre for the VIP treatment at Ladies Night!